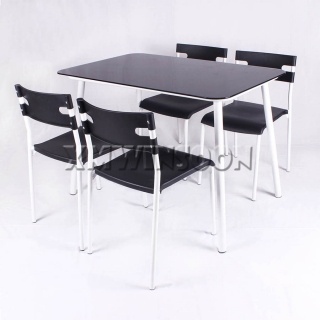 Master Carton Dimensions W34"*D18.1"*H20.47" (W86.5*D46*H52cm), 4pcs/ctn. 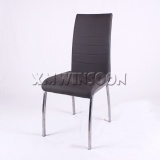 Contemporary style Leather Dining Chairs With Metal Legs AA6020 feature a sturdy steel tube base to guarantee stability and security. 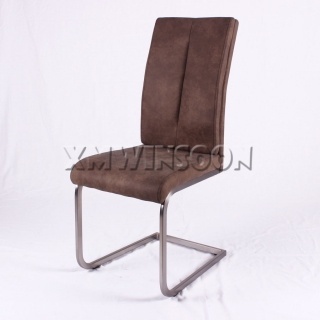 The cream/black/brown color soft and ample cushion with the high backrest that will make you feeling very comfortable when you sit. 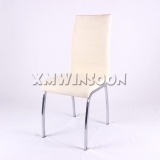 The elegant streamline shape design and harmonious color combination always honor that at the heading of fashion! 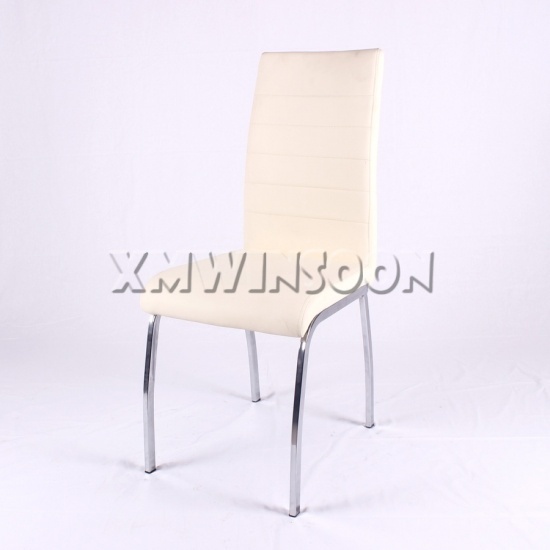 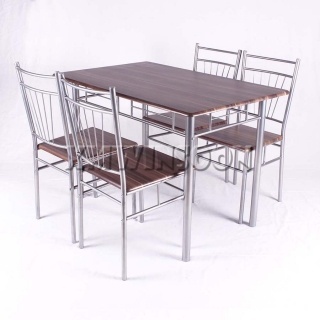 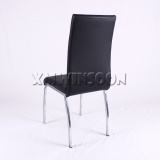 This stylish, comfortable Chrome And Black Leather Metal Dining Chairs with three classical colors options of PU cushion cream/black/brown is perfect solution for update your dining room decor. 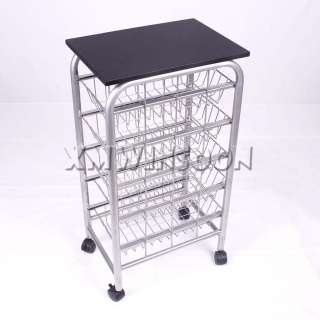 The polyurethane leather cover of the chair seat and backrest easily clean, and the durability steel tube construction promise a secure place to sit and provides you can relax and enjoy your meals when entertaining guests. 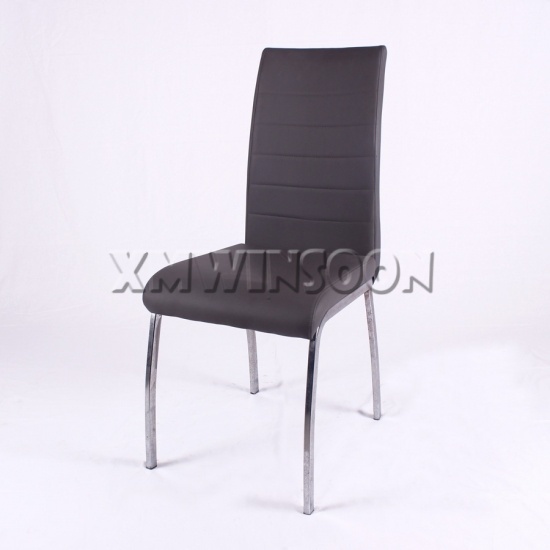 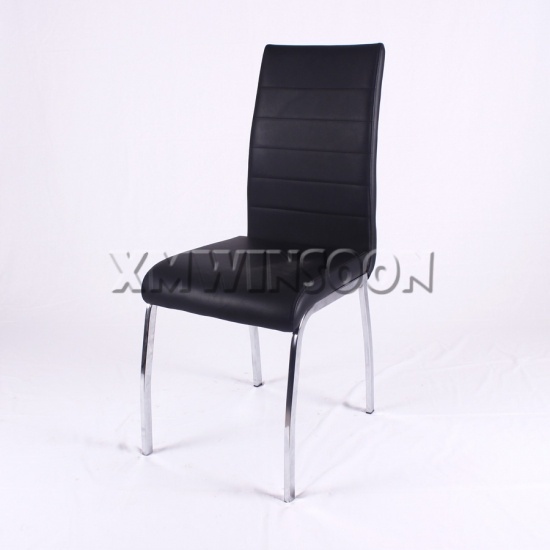 Choose this stylish Black Leather And Metal Dining Chairs that is built to last and will serve you well day after day.